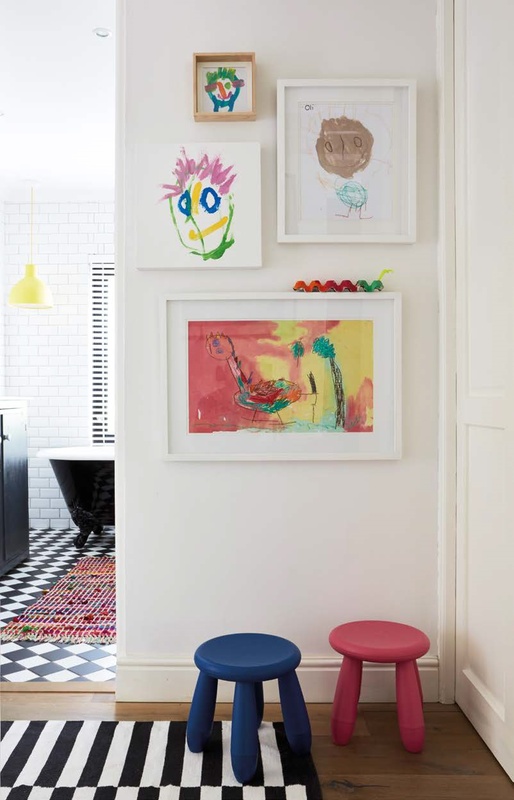 There are no hard and fast rules when it comes to gallery walls – there’s something to love about every kind! Classic thin, black frames accentuates the art within them while the (almost!) perfect symmetry makes for an elegant statement wall in this alcove. We love the interest the odd one out adds. 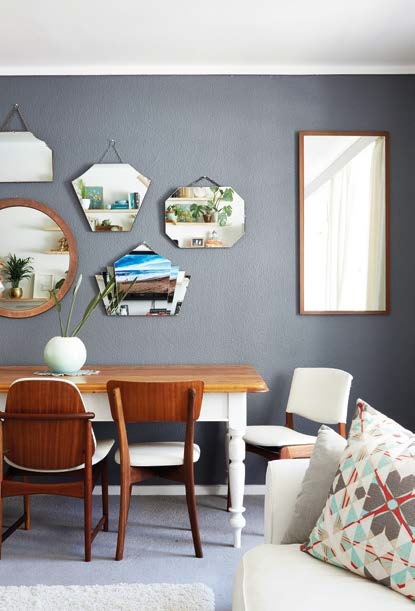 Mirrors are a great way to enlarge and lighten a room and create an interesting focal wall, in mismatched shapes and sizes. Don’t have one large piece of art to make a statement? A unified collection of smaller ones can do the trick. Add focus by starting off your gallery wall with a larger, more prominent piece and surround it with smaller works. Sometimes the frames themselves are the art! 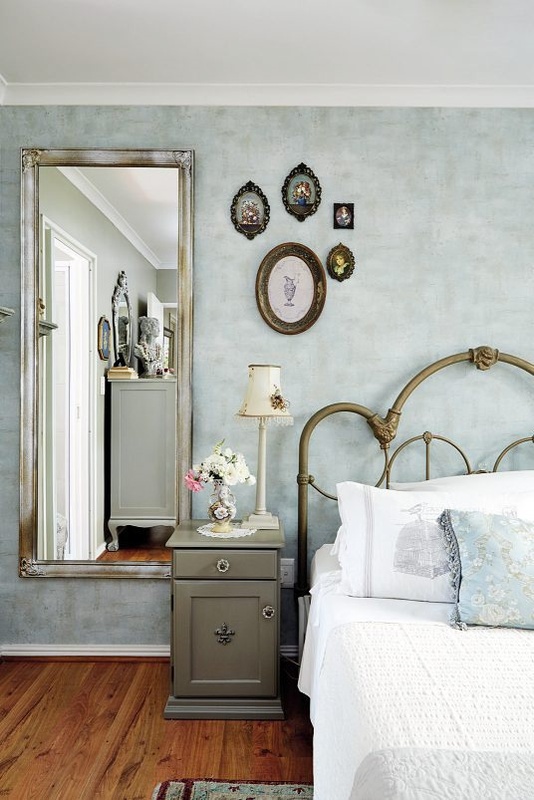 This small collection in ornate frames, against a soft, textured blue wall makes such a lovely focal point. 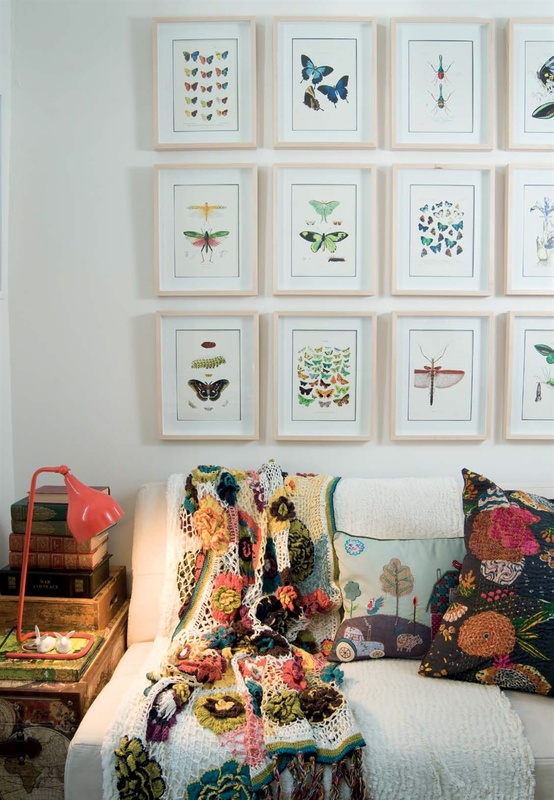 Bring some life to a white wall by mixing together different shapes, colours and sizes of frames. Bring in 3D elements to add texture. Foto uit Tuis Mei 2016. Rows of the same shape and tinted images add to the soothing atmosphere in this dining room. 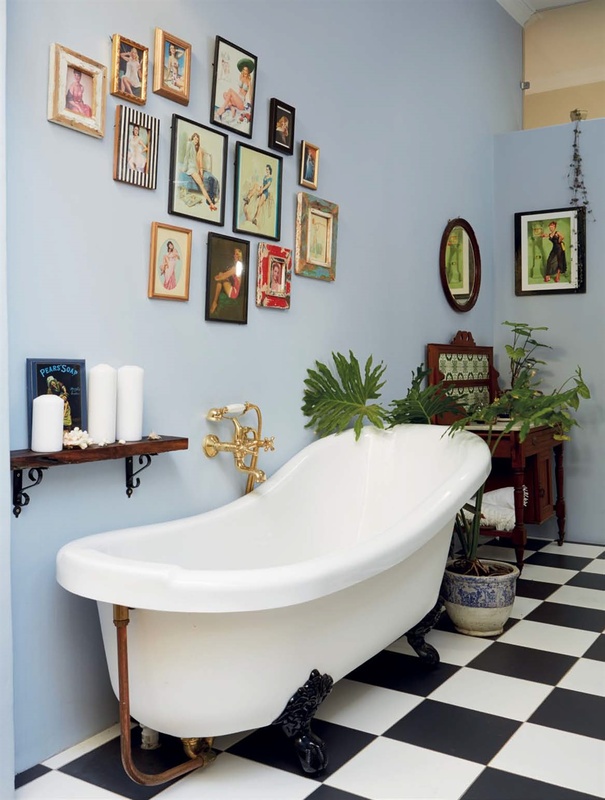 Bring attention to a themed collection by using matching frames and a uniform layout. 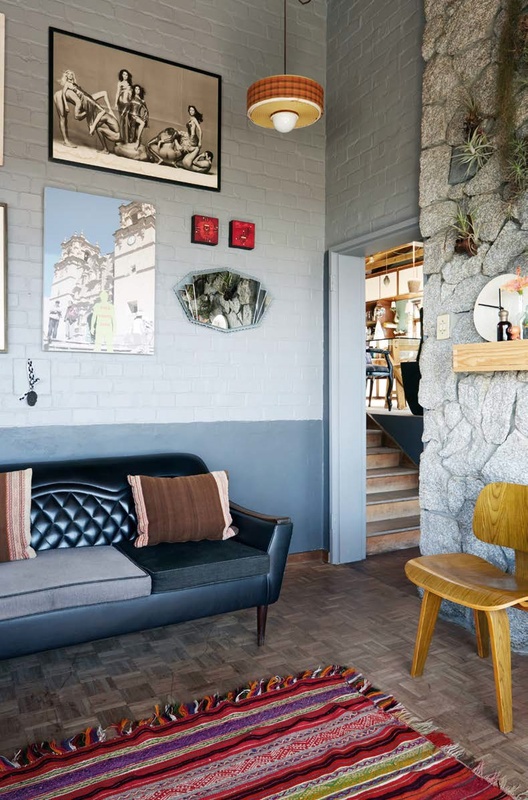 A gallery wall, especially one with various scales, textures and colours helps accentuate the height in a small space. There’s no “correct” room in which to place art in your home! In a room with different colours and patterns, choose frames that highlight the art itself without competing having the frames compete for attention. The colourful drawings pop inside the common theme of white frames but we do love the cheerfulness of the odd one out and the character resting on the bottom frame! In this soft, elegant space, the colours of the display (including frames) picks up beautifully on the colours in the room. 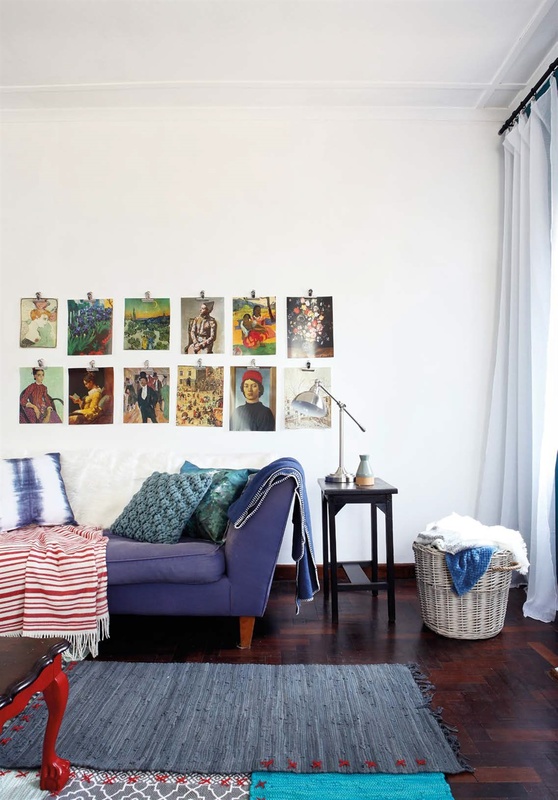 There are many temporary ways to hang your art. You can hang it on temporary hooks, string with clips, place it on shelves or on another prop such as a ladder, peg or cork board, or use decorative to strong tape or Velcro. 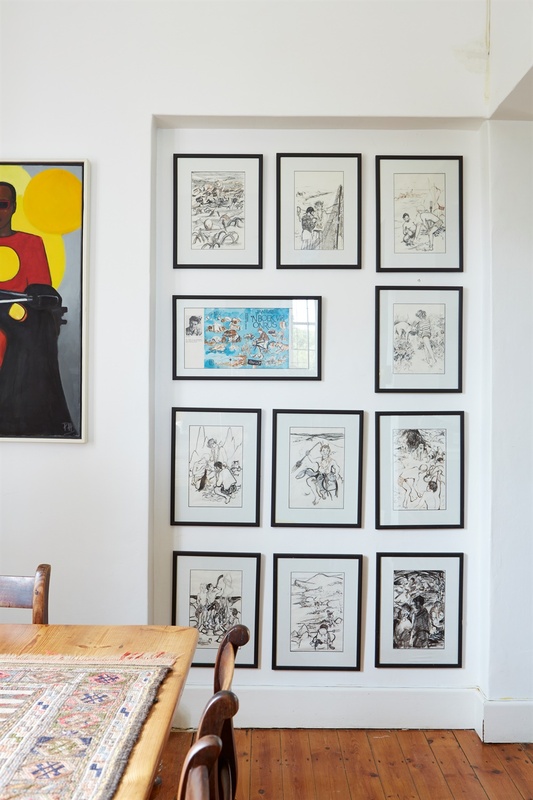 Temporary ways to hang art. 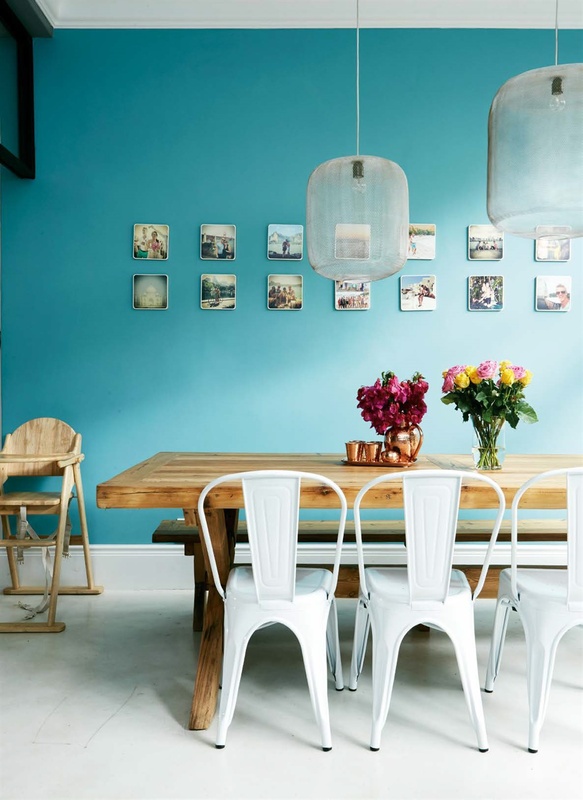 Add texture to a colourful focal wall with a collection of neutral coloured frames. 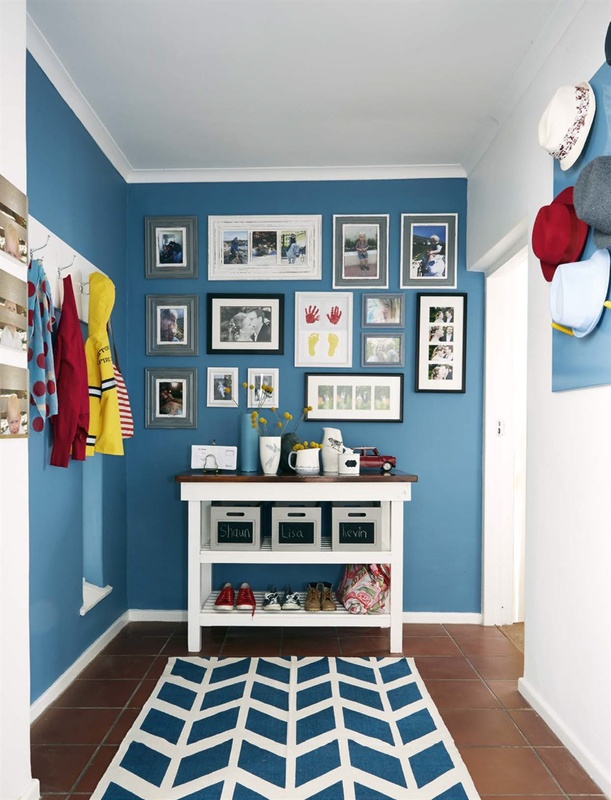 Break up an expansive wall and tell a story with framed family photos along a stairwell. Echo the curve of the stairs by pairing your frames in a relatively uniform row. Trace your frames onto paper and play around with your layout on the floor before you hang anything up. Aim for a minimum of 5cm space between each frame; try to keep the spacing consistent. 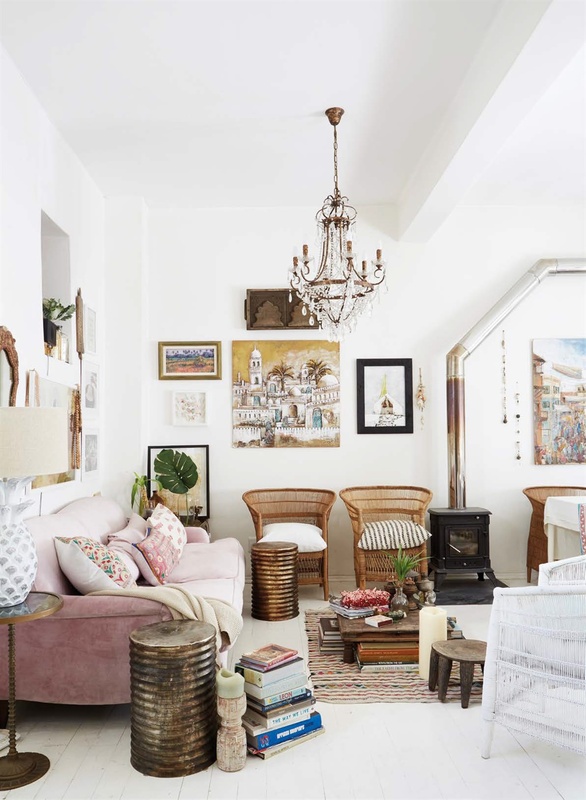 Be daring – you can add a number of items to a gallery wall – jewellery, bowls, hanging plants, even magazine or album covers.